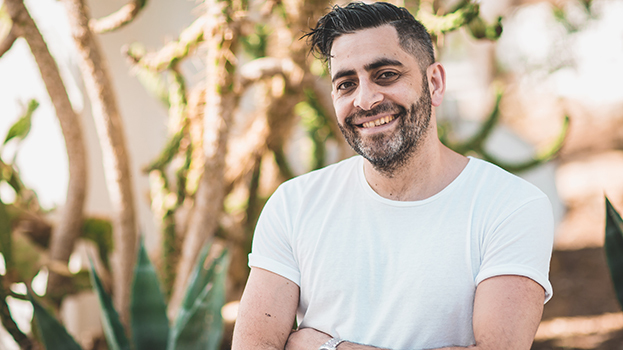 Darius Syrossian is smiling at us from the doorway of his Ibiza villa, while brandishing a tray of cold beers and chopped fruit. 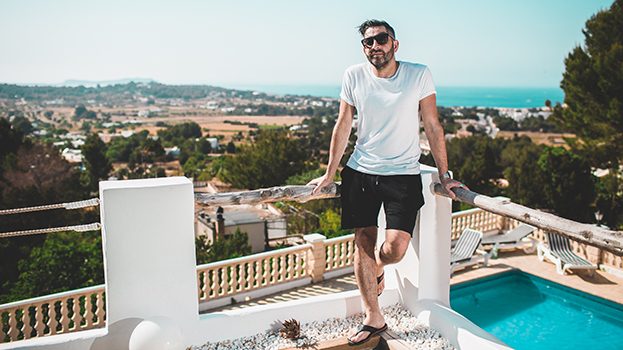 It’s exactly what we need after a long day of shoots and interviews in the sweltering Ibiza sun, and Syrossian makes for an excellent host. You’ve moved Do Not Sleep to Space this year, what’s the strategy behind that? “We’ve had to think of Do Not Sleep as a nomadic party brand, so it doesn’t really matter where we are. It’s a no-frills party, so it’s just about the music, a dark room and a sound system — it could be anywhere! I think there’s a lot of parties that are very intertwined with the venue they’re in. Thoughts on Space’s final year? “To be honest, I was never really into the idea of VIP clubs. Ibiza was made off the back of the hippies. That’s part of the reason why with Do Not Sleep we aim to try and make it a party for the workers, for the clubbers who are not about the VIP. I actually banned VIP tables when we were at Privilege. A few times they tried to still do them, and I was like, ‘I’m not playing any more music unless you get rid of them’ [laughs]. And you’re doing some vinyl sets too? Tell us about the ethos behind the Do Not Sleep? “I was inspired by the American house producers back in the day, people like Armand Van Helden and Derrick Carter, but also the techno side of it — Derrick May in particular. 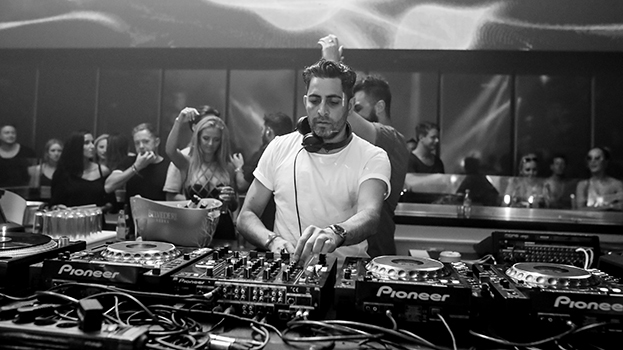 I’ve always found him to be very dancefloor-focused techno. I think that’s why my music has always been aimed at the dancefloor. The beauty of this thing, of electronic music generally, is that there’s so many different styles and genres, but for me I’ve always been about the dancefloor. I’ve never hidden that, I’m proud of it and I think my productions really show that. For me, anyone who wants to make people dance is okay for Do Not Sleep. Do you do that often — lose yourself? You’re taking charge of your own Balance compilation this year — tell us about what you’ve got coming up production-wise this year? “I just today signed a track to 20/20 Vision in Leeds, plus Richy Ahmed just rang me up and asked me to do a remix for him. I’m stoked about that, he’s on fire at the minute! I’ve just signed two tracks to Nick Curly on 8 Bit, and I’m also working on a collaboration with Doorly. And finally, who’s on the line-up?